right said, root level dekhi hunu paryo pragati. this is the same team who defeated jordan in under 16 game hoina? we act in late stages that is out habbit now. any way can't nepal have a international tournament of 4 /6 nation which involves teams which are lil above us like thailand, singapore, oman, india ?we do not have international exposure how they play. the game technics has changed a lot it is not about physical, it do have some physological effects too. hope the current school level cocacola cup boost a little bit in nepalese football? yaar hamro desh ma ali kati khaali jagga bhaye ni shopping complex banauna haatar huncha hehehehe ani kaha baccha haroo le football khelne? palces where we played footbal are all been transfer into houses so there are many expect we have to see. That is waht i am saying since ages.. They take Trials in academy too. How can this be?? @Sangesh - youth tournaments are deceiving as different countries take different attitudes towards them. Also Nepal has often used overage players in youth tournaments. International friendly tournaments are not a popular format, but certainly Nepal can arrange friendly matches, but costs are an issue. As for Coca-Cola Cup it really does not produce any top level players. It is, what it is - a one and done youth tournament. We certainly need football grounds and that is something ANFA and the government should be working on together. It might be too late in KTM, but in the villages we need to protect public spaces and playing fields. It should be a government policy to have protected playing fields in every VDC. Undeniably,where there is a will, there is a way. Sadly, it does not imply, so to speak, in the context of Nepal.This is because of government indifference,lack of infrastructure, corporate apathy, absence of a sporting culture and dishonest officials.Unless we overcome these barriers we cannot even grow as a fairly reasonable sporting nation, be it football or any other sports. And our struggle and humiliation like the one in Jordan will continue unabated. Your piece is compelling and renders hope to a hopeless situation. The real root cause of problems you raised and your line of thinking are rational. Having said so, long as Ganesh Thapa led ANFA who does not want to quit or contribute Nepali football will continue to stagnate and there shall be no end to footballer woes . I think first thing ANFA should do is to bring professionalism in football. It can only be achieved by establishing a real National league. Scrap the current league system and go for a new one. Have teams from outside valley from cities like pokhara, dharan, nepalgunj, butwal. these cities have OK stadiums so minimum need of new infrastructures. Matches should be on weekends so people can go n watch as leisure during offdays. I am a serviceman and I cannot go and watch matches in stadium unless its Saturday. May be transportation will be a problem for clubs for national leagues around country which ANFA should fund until clubs are financially stable. And about clubs revenue, fan are everywhere in country who would love to see their team play until it harms ur livelihood. We need a turn around from what we are doing right now. I am a three star fan n i would love to go every saturday to stadium to see my team play. And for the establishment of Academies around the country, it will not happen overnight. Even clubs of english 2,3rd division cannot afford it fully. It will take time and if proper clubs and franchises are developed, it will surely happen in few years of time. 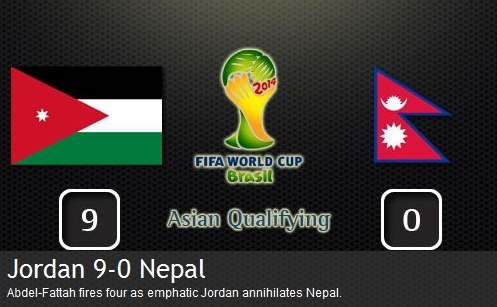 Its about time for nepal to start professionalism in football and play international club tournaments like AFC cup and possibly if we are lucky AFC champions league, rather than this current presidents cup which are played by basically semi professional teams of asia. 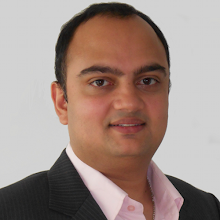 @Pravash - wonderful suggestions. ANFA is moving towards a national league, but their execution has been poor as they are allowing village teams that have no access to facilities or revenues participate. Already two big clubs (Sahara and Knight Chess) have been knocked out of the qualifying rounds by minnows who will struggle to survive (financially, etc.) in the national league. Let's see what happens. Yes, academies are costly, but clubs that cannot afford them could alternatively have "football for all" or after-school programs.